VAKUL can fly as the plane and as a kopter. - in airplane mode flies at high speeds (100-120 km / h), long flight time, long flight range. 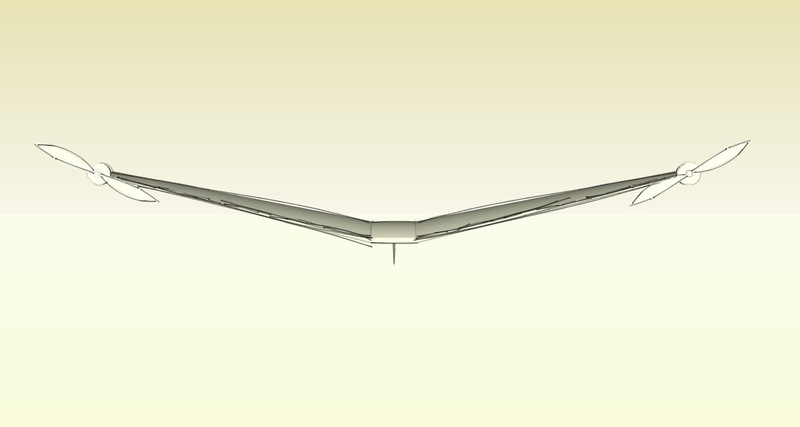 - elongated "smeared" the focus of the wing, which gives stability in pitch. - large maneuverability in copter mode. 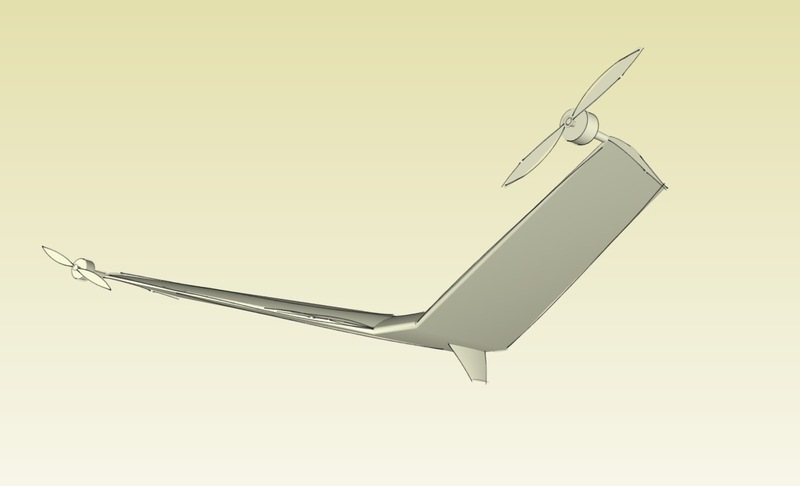 - gives a much greater stability of the flight in the mode of the copter than when using the elevons. - propellers do not close the camera review. - in airplane mode, it gives a low center of gravity for roll stability (for taxiing on roll, thrust vectors are less effective than elevons, with the engines off - aircraft planning thrust vectors do not work at all). (it is supposed to be used only at the initial stages of testing, later to be replaced with the mode of the copter-plane)! 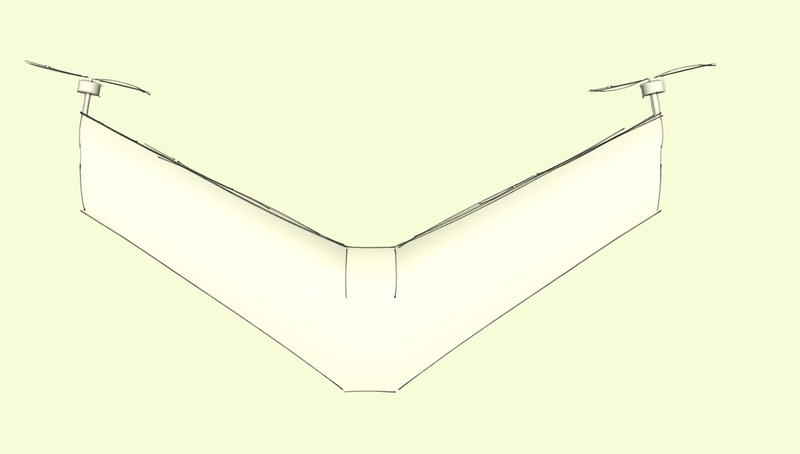 When the roll VAKUL self-leveling due to the V-shaped wing. 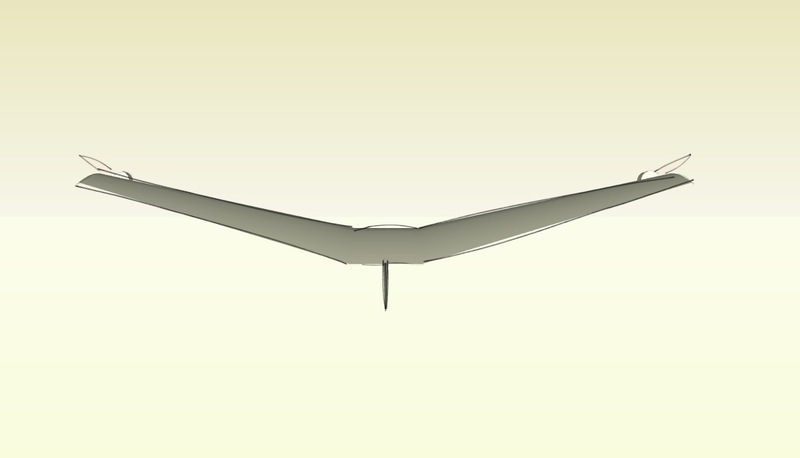 Also, with a roll of one engine changes the thrust vector up. Taxi on pitch up (or increase in height) is performed by thrust vector up. Taxi on pitch down (or decrease in height) is performed by the thrust vector down. Taxiing on the course is performed by increasing and decreasing engine thrusts and by slightly turning the vectors of the thrusters, the bevel axle adds efficiency to the steering with engine thrusts. Increase / decrease in speed is regulated by increasing / decreasing engine thrust. In this mode, the rotor can rotate only at zero speed, and a small pitch (about 10 degrees)! (it is supposed to be used only at the initial stages of testing, later to be replaced with the mode of the copter-plane)! Taxiing on the course (turn) is performed by the thrust vector. The height of the thrust engines. According to the roll engine of one engine. 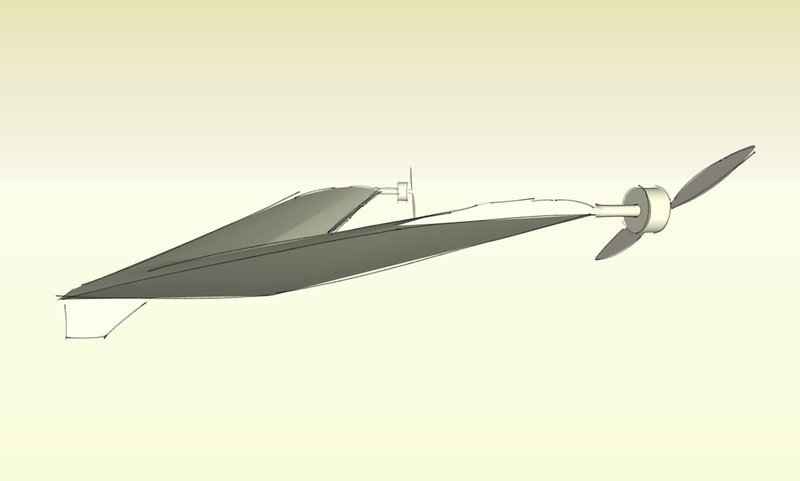 The speed is adjusted by tilting the VAKUL case forward with thrust vectors and increasing / decreasing engine thrust. The transition is carried out by the normal position of the engines from vertical to horizontal, as well as changes in the control logic in pitch, heading, roll. VAKUL interpolates control modes depending on the angle of inclination of the VAKUL. The control logic of the copter and the aircraft is different. When tilting in the copter mode more than 10 degrees, aircraft control logic enters more, for example, at zero speed, the left engine must be turned forward (down from the VAKUL hull) and the right engine back (upward from the VAKUL hull) when flying VAKUL at an angle of 45 degrees will lead to either the opposite effect (turning left) or popping. For normal controllability in the airplane mode, it is necessary to interpolate the control signals, the interpolation must be in with the priority of the airplane mode. For example, when the engine is tilted from the vertical by about 10-20 degrees, the signals should mix 50/50%, as the angle increases, the priority of the aircraft control mode increases.